A vase of tulips was set at each table. 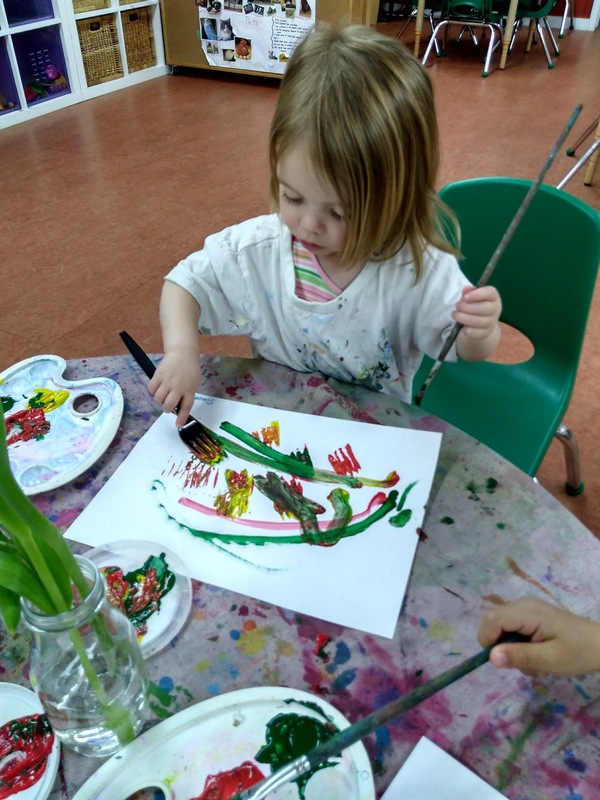 The children used their senses of smell and touch to explore the flowers. 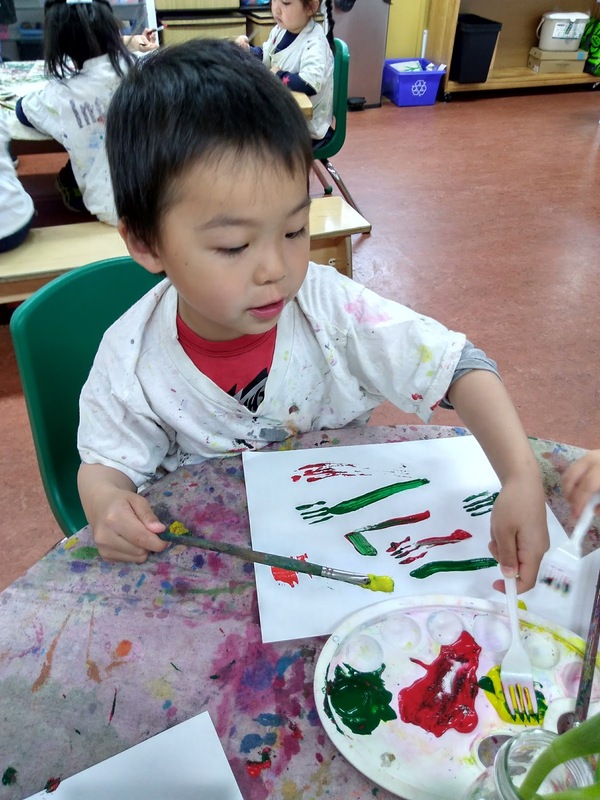 Before painting a picture of the tulips, we watched a short video on how tulips grow. 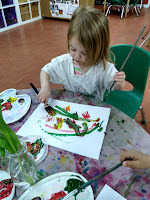 The children used forks with paintbrushes for this activity. It is very interesting to watch how each child has a different painting process. 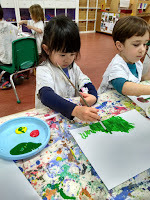 Hyra started to paint the grass first, Olin painted the stems, and Emma painted the tulip flower before adding leaves. 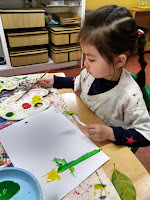 These pictures are the ordinary moments of children's art. Each is a beautiful masterpiece. My tulips are very pretty! I am using both hands! 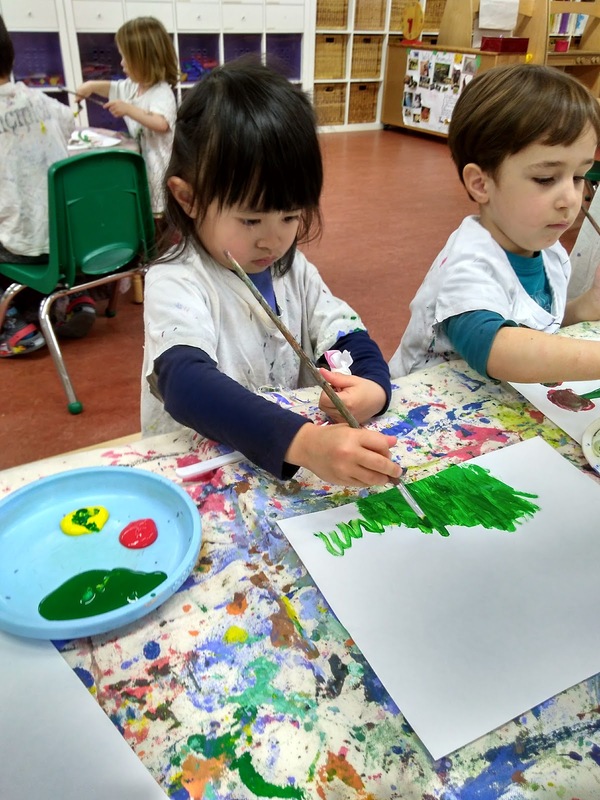 Elliot and Keira admired to mixing the paints and making different colour. "I want to make my blue fishy fly"
I introduced the children about a Japanese culture. May 5th is Children’s day in Japan which celebrates the healthy growth and happiness of children. 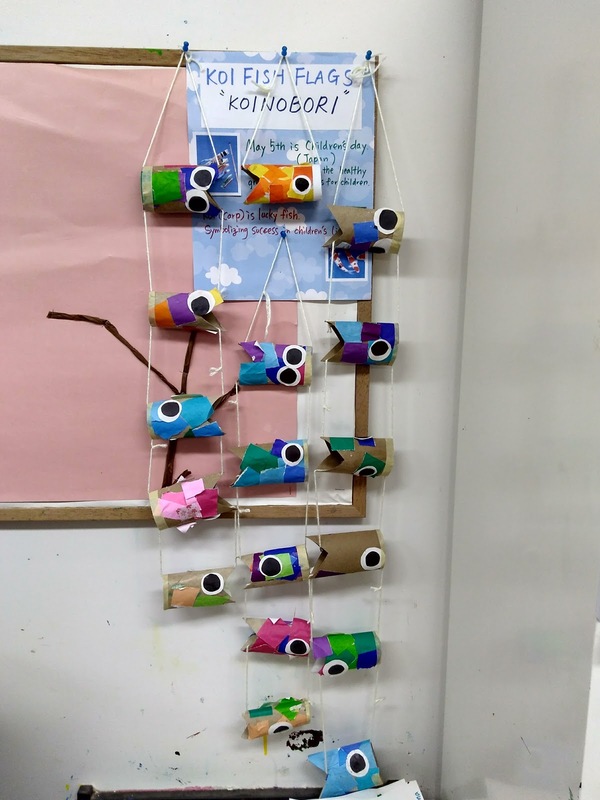 I showed the children how to make "Koinobori", big carp shaped streamers connected with a long pole which fly outside of the houses. 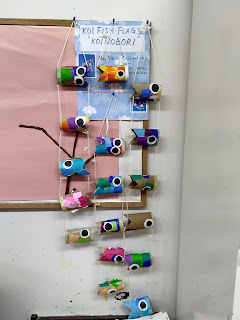 Children saw some pictures of Koi fish and watched a short video of different flying/swimming koinobori in the sky. Children wondered about fish's eyes, because they only saw one side of the fish's face. Where is the other one? How do they look like… are they like humans or like birds? 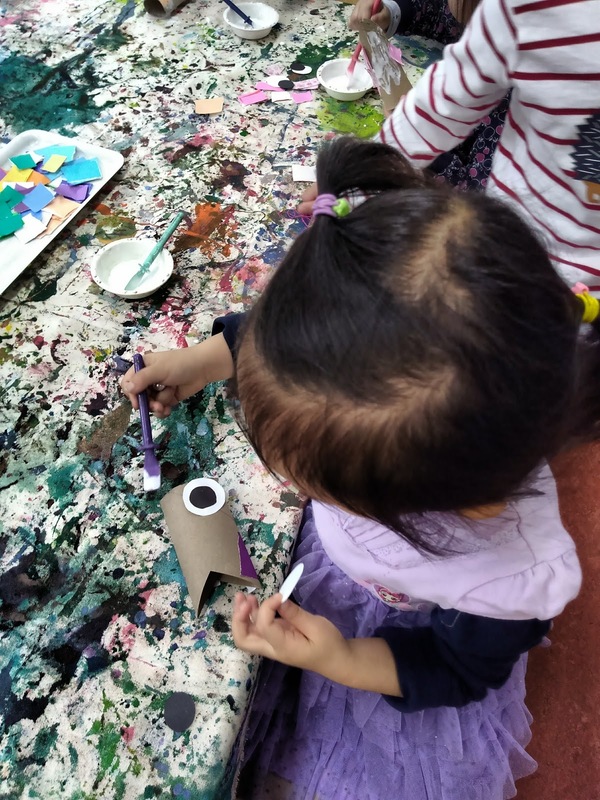 The children might be referring to perspective or symmetry which something we can explore in future art activities. My fishy is beautiful !